Help Niche Snowboards tell their awesome story in a way that resonates with their tribe, selling snowboards and merchandise along the way. Niche Snowboards is an amazing company based out of Salt Lake City, Utah. The company is full of great people that love the environment and the sport of snowboarding. It's a joy to work with people that care deeply about the same things I care about, and this was quite a fun project from beginning to end. I sat down the the team to go over the deliverables here, we ended up walking through my project questionnaire, and developed a strategy for the website. Based on the strategy and their already existent brand guidelines I worked up a homepage design in photoshop. After a round or two of revisions, we landed on a fantastic homepage, which I then translated the style of that page into a blog template and a content page template. Once these designs were approved, I went into development mode. 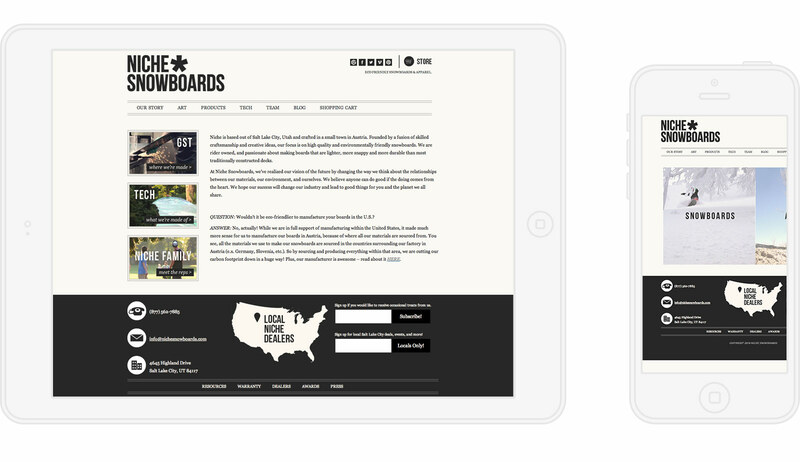 Since the site was needed to be content driven and easy to manage as well as able to sell their merchandise and snowboards, I went with a dual CMS of Wordpress and Shopify. Wordpress is great at managing content, and Shopify is great at payment gateway's and managing the ecommerce side of things. I ended up coding both sides of the site myself and launching the site from start to finish in 3 months. Take a look at the site, and if you like what you see, you should consider purchasing a new snowboard for yourself! 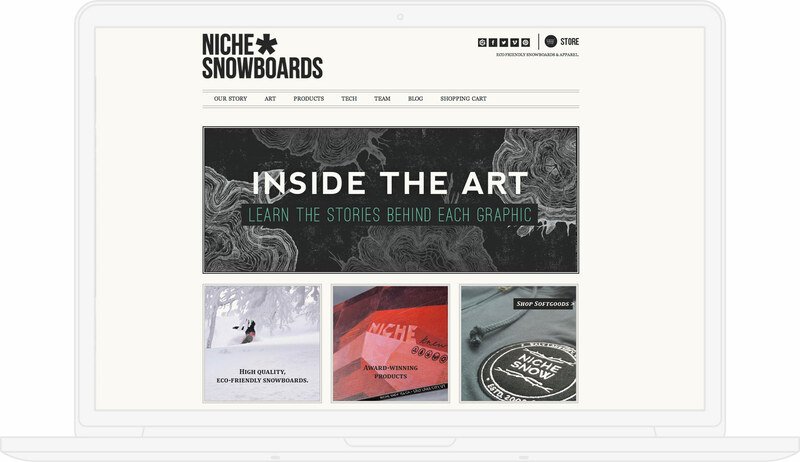 Do you want your website to be successful like Niche Snowboards?